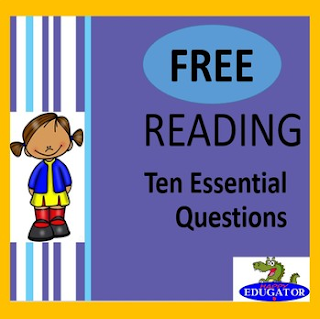 Reading - Ten Free Essential Questions. PowerPoint slides with ten essential questions for reading in general. Questions about making connections, visualizing, predicting, questioning, analyzing, comprehension strategies, evaluating. Can be used with any reading assignment. Enjoy this free gift! Merry Christmas!